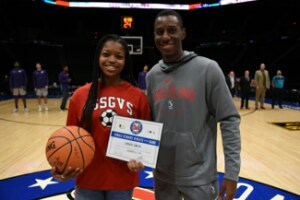 The Long Island Nets have partnered with National Grid to launch the Female Student Athlete of the Month awards to students across both Nassau and Suffolk counties. 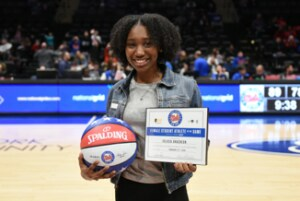 Six times during the season, the Long Island Nets recognized a different female student athlete based on her success in her respective sport, her commitment to education and success in the classroom, and leadership abilities on and off the field of play. 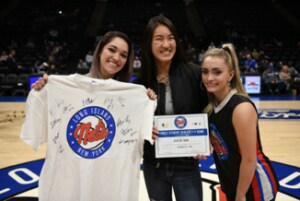 Students and faculty had the opportunity to nominate a Female Student Athlete each month of the program. 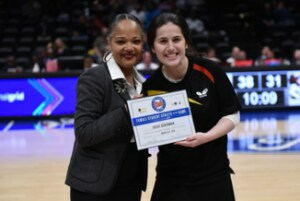 Lauren is an outstanding individual who has had tremendous success both on the court and inside the classroom. Cherkin and her doubles partner, Alexis Huber won the Suffolk County Doubles Championship, 6-2, 6-4 for Half Hollow Hills East over Westhampton and reached the second round of the New York State tournament. She also helped capture the county doubles title in 2016 and 2017. In the classroom, Cherkin became one of the 12 Half Hollow Hills Students named as National Merit Semifinalists, and will be attending Dartmouth College in the Fall. 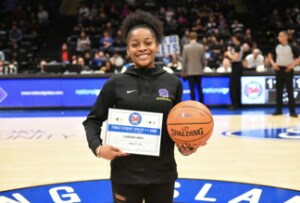 Florendia is an All-County player, captain, and leader of the talented Sewanhaka girls basketball team…as well as a well-rounded student athlete. She recently worked with young children as they prepared for their holiday play. Florendia is also a member of the National Honor Society for Music and Foreign Language, and is the President of the Student Athletes Club at Sewanhaka High School. 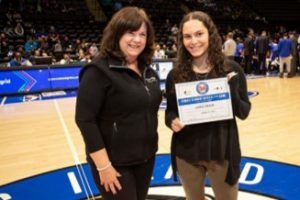 Most recently, Flo was awarded the Nassau County Zone Outstanding PE student award on December 3, 2018.